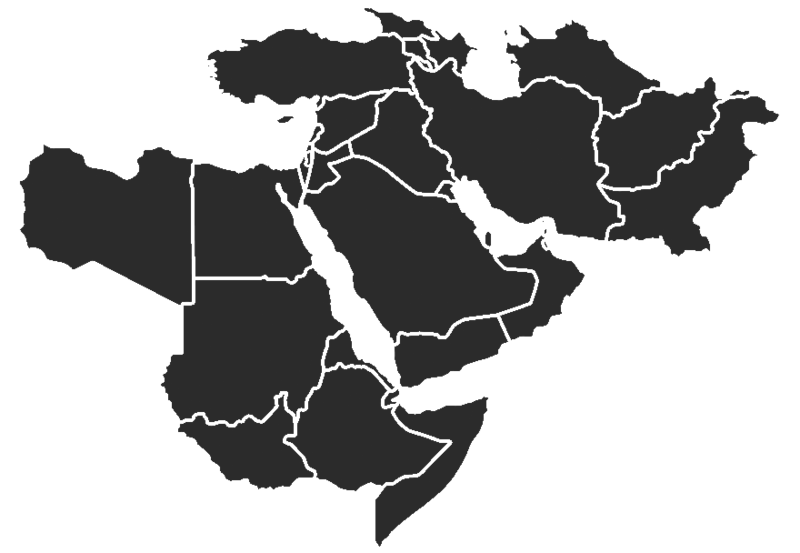 In 1981, Bahrain, Kuwait, Oman, Qatar, Saudi Arabia, and the United Arab Emirates (UAE) formed the Gulf Cooperation Council (GCC) in response to regional security concerns, including the emergence of the Islamic Republic of Iran and its expressed intent to export its revolution abroad, and to promote free trade between member states. In 1982, the GCC formed “Peninsula Shield Force” (PSF) as a defensive and offensive pan-Gulf military force. The PSF held its first training exercises in 1983 in the UAE, and later participated in the Persian Gulf War in 1991 and deployed again to Kuwait in advance of the 2003 U.S.-led invasion of Iraq. Current PSF troop levels number at approximately 50,000 but in July 2011 the GCC approved a proposal to double PSF troop levels by the end of 2012. The GCC has been supportive of Iran’s right to operate a peaceful nuclear program but has been vocally opposed to Iran producing nuclear weapons. The GCC Secretary General has consistently called for a peaceful resolution to the diplomatic conflict between Iran and the international community. GCC member states often warn of the threat posed to the region’s security were Iran to weaponize its nuclear program. Iran and the GCC began negotiating a free trade agreement in 2008 but negotiations have been stalled by various diplomatic quarrels since that time – including the ongoing dispute over the islands of Abu Musa and the Greater and Lesser Tunbs, and Iran’s incitement of Shi’ite protestors in Bahrain. As a result, to date, a complete agreement has not been forthcoming. January 19, 2011: Iran’s Trade Promotion Organization reported a 25 percent growth in exports to GCC countries in the first quarter of 2011. September 11, 2008: The Gulf Cooperation Council accepted an offer from Tehran to begin negotiations on a free trade agreement. According to Khalaf Al Manai, Qatari Finance Ministry Undersecretary, "the [GCC] undersecretaries agreed on starting the first official round of negotiations on an FTA with Iran." September 1, 2007: Iranian Foreign Minister Manouchehr Mottaki wrote an official letter to the GCC stating Iran’s desire to negotiate the creation of a free trade area with all Arab countries. July 18, 2011: The GCC delivered an official letter of protest to Iran’s ambassador to Saudi Arabia, Mohammad Jawad Rasouli, regarding statements about recent unrest in Bahrain made by chairman of Iran’s Guardian Council Ayatollah Ahmad Jannati during Friday prayers in Tehran. Jannati harshly criticized the intervention of GCC military forces in Bahrain. The GCC characterized Jannati’s words as “false” and “provocative,” and an unwelcome interference in Bahraini domestic affairs. Iran rejected the letter on July 21 and deemed its contents “unacceptable.” The full contents of the letter were not disclosed. April 18, 2011: Bahrain’s foreign minister announced that GCC troops would remain deployed in Bahrain until Iran no longer remains a threat to Gulf countries. March 2011: GCC deployed approximately 1,500 troops led by Saudi security forces to help quell demonstrations in Bahrain. Qatar and the U.A.E. also pledged to commit troops. The troop deployment comes after a meeting of GCC ministers in which a statement was issued blasting Iran’s “flagrant interference” and “violating the sovereignty” of Bahrain. September 3, 2008: The GCC reprimanded Iran for opening offices on the disputed Tunb Islands, issuing a statement that, “The ministerial council condemns Iran's establishment of two administrative offices on Abu Musa island that belongs to the UAE and demands that Iran remove these illegal installations and respect the UAE's sovereignty on its land.”  The disputed islands are claimed by both Iran and the United Arab Emirates. December 3, 2007: Iranian president Mahmoud Ahmadinejad approached the GCC with proposals for a security agreement between Iran and GCC member states. Speaking at a GCC Summit in Qatar, Ahmadinejad stated, “We want peace and security... based on justice and without foreign intervention." “Al-Attiyah to Al-Hayah: Gulf Countries are Qualified To Enter Union, Welcomes Turkey’s Role, Rejects Option of Confrontation in Region,” Al-Hayah Online (via World News Connection), July 16, 2010. “The Growth of Exports to the Gulf Cooperation Council,” Donya-ye Eqtesad online (via World News Connection), January 19, 2011. “The GCC is expanding its army, but for what?,” Al Jazeera English, July 2, 2011. http://english.aljazeera.net/indepth/features/2011/06/2011626112649845386.html (accessed July 13, 2011). “GCC troops to stay in Bahrain until Iranian threat is over,” iloubnan.info, April 18, 2011. http://www.iloubnan.info/politics/actualite/id/60176/titre/GCC-troops-to-stay-in-Bahrain-until-Iranian-threat-is-over (accessed July 13, 2011). Currently receiving 0 of 7 possible notifications for this sort of content.